Tibard Laundry Services is the arm of the Tibard group of companies that deals with rental uniforms and commercial laundry services. Tibard are specialists in hospitality and workwear manufacturing and management, and Tibard Laundry aims to provide a quick, responsive service to meet your needs. We operate from our Holden Street facility in Ashton-under-Lyne, and with a workforce of 45 and the capacity to handle over 250,000 items at any one time, we are one of the leading commercial laundries in the north west of England. 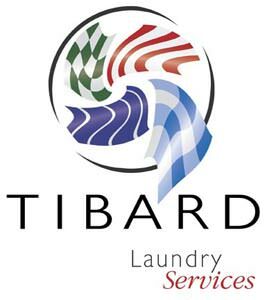 Tibard Laundry Services specialises in provided managed uniform rental services, including laundry services. Foremostly, we will meet with you to select your uniform and discuss all the logistic challenges that may be faced. Once this has been decided upon, we will then go through with you how regular uniforms laundry cycles need to be and how many uniforms per member of staff you will need in order for us to ensure a constant supply of fresh uniforms. Behind the scenes, we will regularly check stock levels in order to aid waste tractability and ensure you receive your full allocation of uniform. We can easily add to or reduce the amount of items you receive with each laundry changeover to ensure minimal disruption. We will work with your site manager to arrange pick up dates and deliveries, so you can focus more on your business without having to worry about the need for a regular supply of clean uniforms. We offer our services to a number of major northern cities and their outlying areas, providing the conurbations of Liverpool, Leeds, Manchester and Sheffield with commercial laundry services. Restaurants and hotels through the North West, including Lancashire, Cheshire and Yorkshire can also benefit from Tibard by choosing our commercial laundry and workwear rental services. Looking for more information on how our laundry services can benefit your company? Chat with us today. Copyright 2017 Tibard Laundry, All rights reserved.